When you take one look at this basket of chrysanthemums, it&apos;s a clear symbol of the mild, warmer months of spring. Beautiful bright colours, the right amount of greenery, and a stunning hoop basket brings it all together. 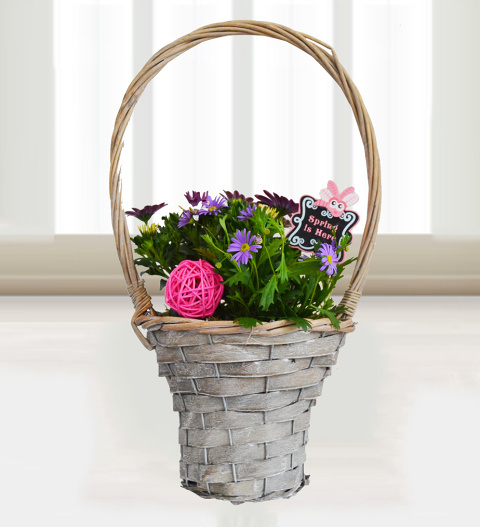 Spoil yourself with some spring blooms to brighten your home or send this basket to a loved one to celebrate their birthday, an accomplishment, or any other happy occasion! Gift hunters love our UK next day delivery for this plant! Chocolates may contain nuts.